Streamline your life with intuitive, integrated control of both home entertainment and home control devices. Change channels, adjust volume, fast-forward, or rewind using gestures on the bright 2.4” touchscreen. Easily find the right button, even in the dark, with motion-activated, backlit controls. Keep your eyes on your entertainment, not your remote, with vibration feedback. Customize the dedicated media playback, cable/satellite, and DVR controls to your preferences. Control and adjust smart home devices with dedicated controls. Keep Harmony Elite charged and ready with the convenient charging station.. 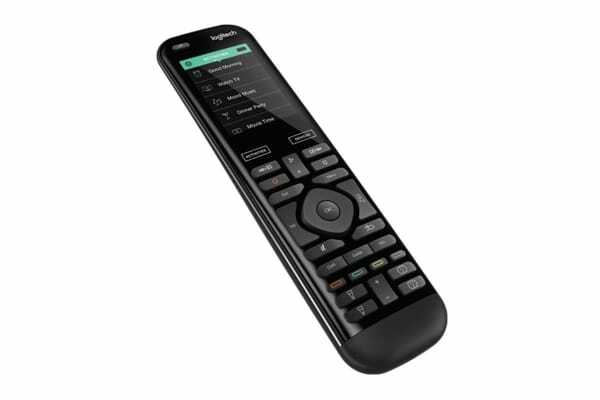 The replaceable battery has 20% greater capacity than previous generation Harmony remotes. Combine your entertainment, lighting, blinds, locks, and more to create unique experiences, whether “Movie Time” or “Good Night”. Works with SmartThingsSM, INSTEON®, and IFTTT smart home platforms. Compatible with advanced home entertainment devices like Apple TV®, Roku®, and Sonos®. Use with popular IR or Bluetooth® game consoles such as Xbox One™, Xbox 360®, PlayStation®4, PlayStation 3 or Wii®. 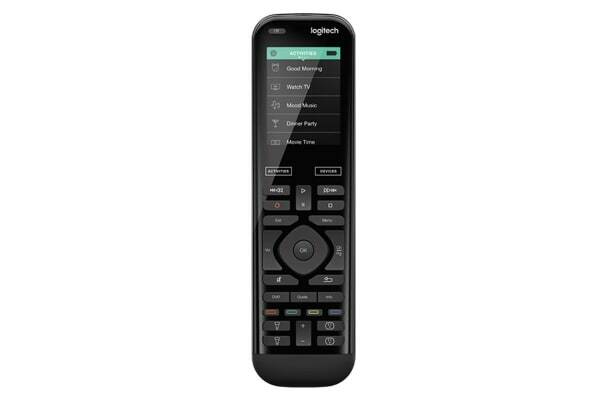 Replace up to fifteen home entertainment remotes. Harmony App turns your iOS® or Android™ smartphone or tablet into a personal universal remote. Launch multi-device activities with just one touch. Adjust volume, change channels and control movies and shows with on-screen gestures. Jump directly to your favorite shows with up to 50 customizable channel Favorites. Check the status of connected devices like lights or locks—even when away from home. 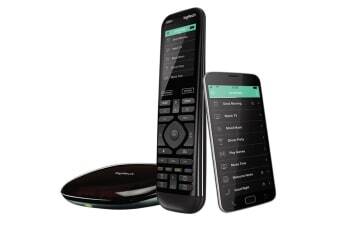 The included Harmony Hub sends commands from the remote or the app using IR, Wi-Fi or Bluetooth wireless signals. Works with over 270,000 compatible home entertainment devices from more than 6,000 brands. Control devices behind closed cabinets and inside doors. Control devices directly, according to custom schedules, or in response to sensors.